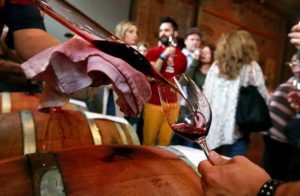 Loudoun County Winter Barrel Tasting Event: The Loudoun Wineries Association is offering a day of barrel tasting experiences at participating Loudoun County wineries on February 2nd. As of the end of December, eleven wineries have signed up, including Fabbioli Cellars, with more additions possible. What a fun way to experience your favorites and to get to know a few new-to-you wineries!